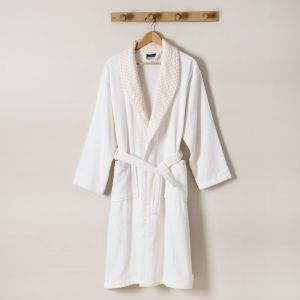 The bathrobe for men is in 100% cotton towelling. 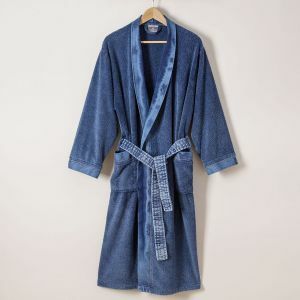 The Jeans bathrobe is very absorbent. 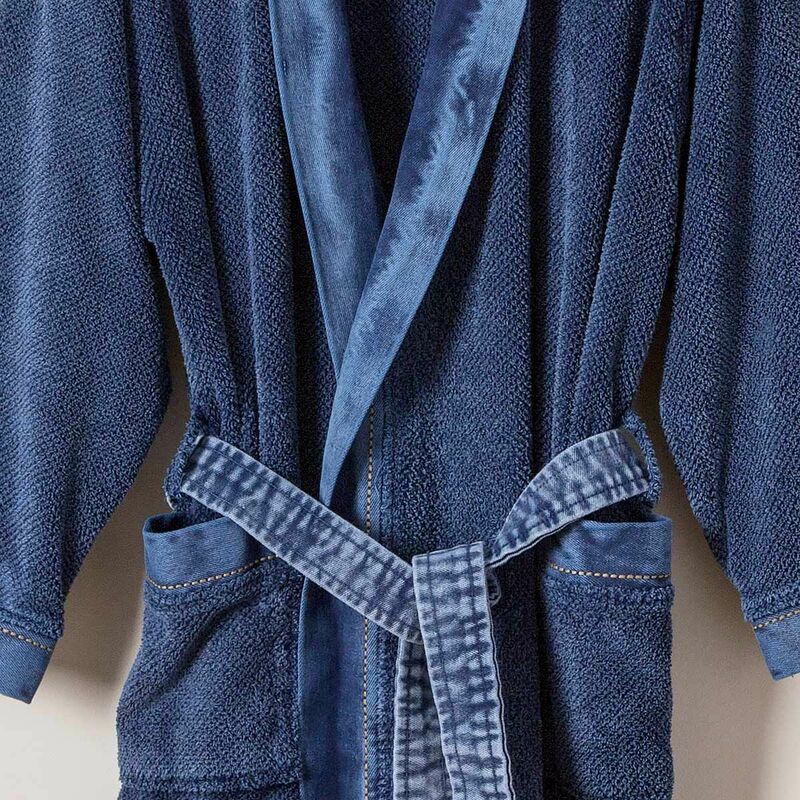 This Dark blue bathrobe features a stitched denim fabric at the collar, the back of the pockets, the belt and cuffs. Its shawl collar and finishes make it an elegant bathing outfit and a sophisticated interior dress. It is tied at the front thanks to its belt held at the waist by two loops. It has two large patch pockets on the front and can be hanged easily thanks to its handle sewn at the neck. It is available in 4 sizes from S to XL. 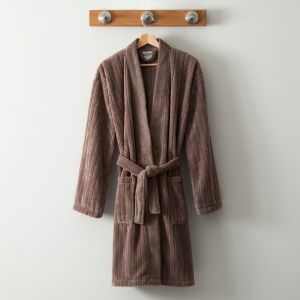 Men's bathrobe, 100% cotton towelling, 500g / m2, denim collar and belt. Les manches sont trop courtes. Dommage, car c'est un beau produit. Dommage que ce beau produit n'existait pas en plus grande taille.\nLe renvoi est un peu trop compliqué , mais... le remboursement rapide. J'ai bien reçu le peignoir commandé en taille L.\nMais cette taille ne convient pas.\nJe suis obligé de le retourner avant de recommander l'article en taille XL.